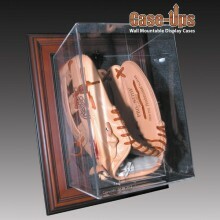 Caseworks’ full size Case-Up baseball glove display is a part of our classically designed wall mount product line. 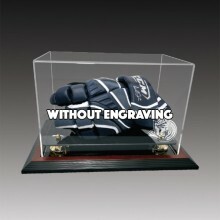 Manufactured by the finest American craftsmen, this display features 1/8” crystal clear acrylic for the lid and your choice of a 2 3/8” mahogany, black or brown genuine wood frame. 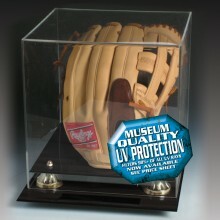 Our unique and original idea places the frame against the wall with the lid projecting outward. This allows for viewing from all sides and angles.